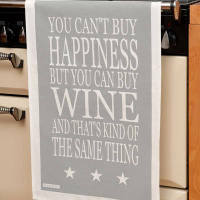 You Can't Buy Happiness But You Can Buy.......Oven Gloves!! 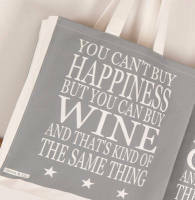 You Can't Buy Happiness But You Can Buy Wine & That's Kind Of The Same Thing! These have got to be the most fabulous oven gloves ever & they complement the tea towel & apron in this range perfectly too!